2019 sees the centenary of the visionary art school, The Bauhaus, which opened in 1919. 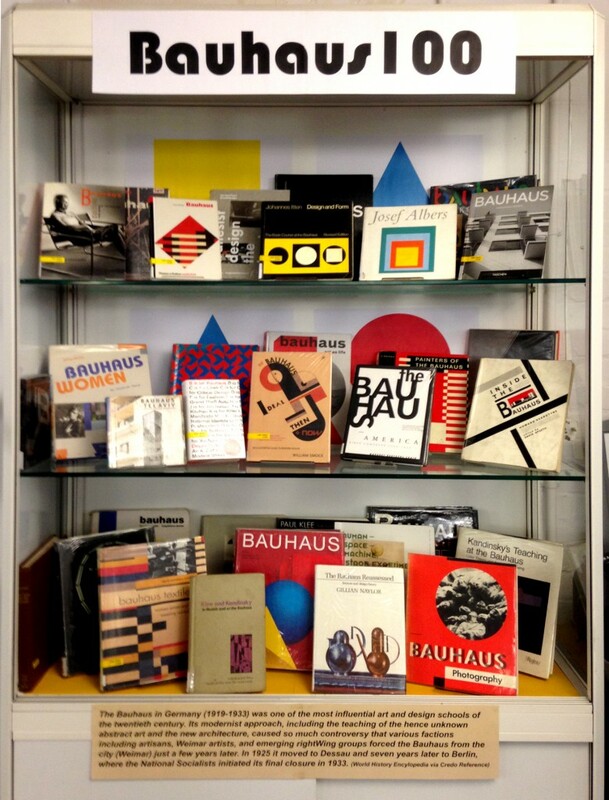 As Cass lecturer Patrick Brill (AKA Bob and Roberta Smith, who teaches Fine Art here), once described the Cass as the ‘Aldgate Bauhaus’, we couldn’t let the opportunity pass for a display of some of our collection of Bauhaus books at Aldgate library! This entry was posted in event, events, Exhibitions, Library books, Library Collections, Library Displays, Library e-resources and tagged "art history", "graphic design", architecture, events. Bookmark the permalink.